Composed more than 1,000 years ago by the Persian poet Firdausi, the Shahnama, or Book of Kings, narrates the story of Iran from the dawn of time to the 7th century A.D. This sweeping epic contains over 50,000 verses and countless tales of Iran’s ancient kings and heroes. Firdausi’s Shahnama has been a source of artistic inspiration in Persian culture for centuries and provides the essential basis for our understanding of the history of Persian painting as it developed from late medieval through early modern times. 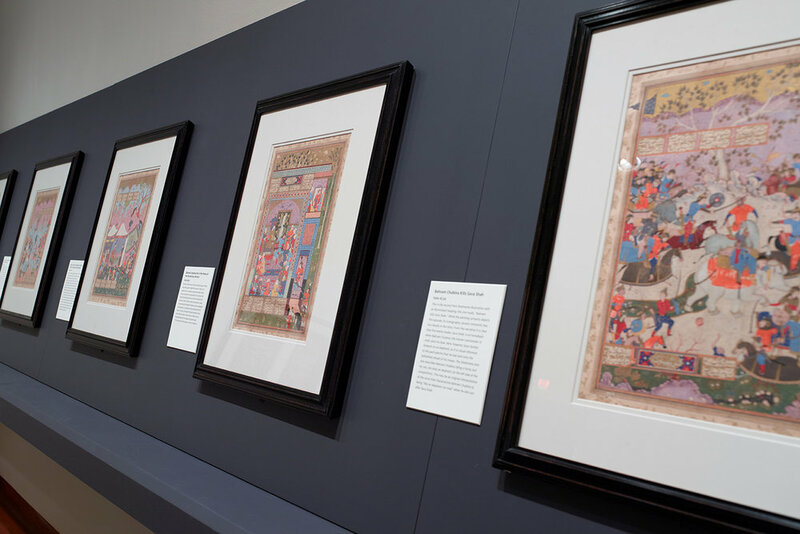 Hundreds, if not thousands, of illustrated copies of the Shahnama survive today in collections worldwide, but Princeton University’s late 16th-century Peck Shahnama (named after its donor) is one of the finest intact volumes in the United States. 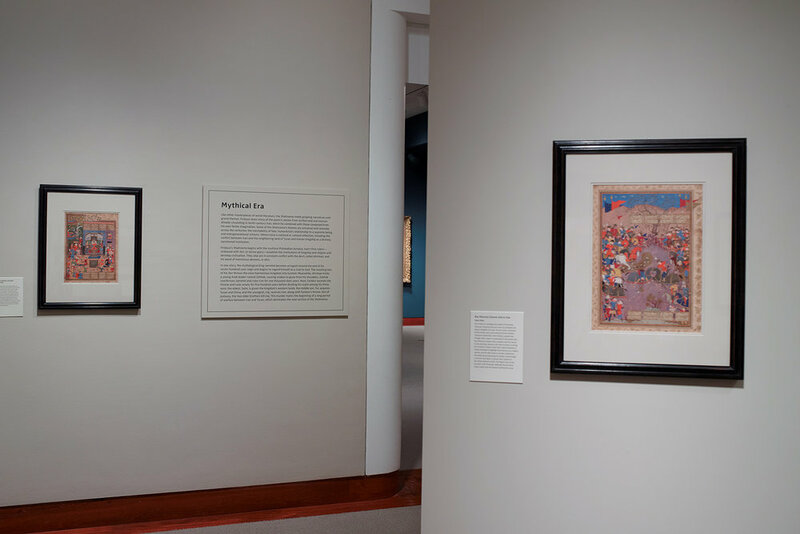 The exhibition Princeton’s Great Persian Book of Kings, featuring all of the manuscript’s fifty illuminated and illustrated folios, introduces the beauty and art-historical importance of the Peck Shahnama to the public for the first time. The exhibition is organized to follow the Shahnama narrative, structured around the mythical, the legendary, and the historical eras. As much a work of literature as of art, the Princeton Shahnama and its splendid miniatures offers insight into Persian manuscript production and painting.